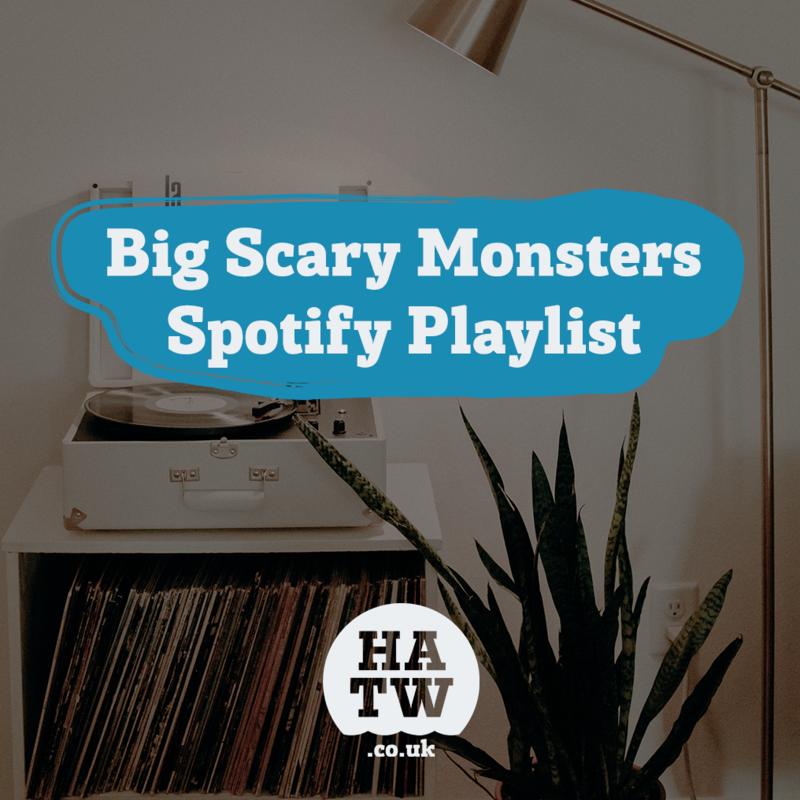 We asked our good friends at Big Scary Monsters to share the songs that help them keep their heads above the waves, and they didn’t disappoint! Each of the squad there took some time to write about each of their picks on this playlist. This has been my go-to song (well, album, really) for about as long as I can remember now. If I’m feeling down, it cheers me up. If I’m already in a good mood, it takes me higher. The perfect record. Much like The Get Up Kids, this is about the album it’s taken from as much as it is the actual song. That wonderful mix of nostalgia and hooks! A bit of a curveball, but I’ve always been such a sucker for the strings in this song. Another one which floats and builds beautifully (seems I REALLY like strings). There’s something about this song which, unlike so many others from the genre, I’ll never tire of. Goosebumps every time. Some songs arrive at the exact moment you need them. Reminds me constantly that things can and will always get better. Look for the good. Always one to make me smile this. Whatever life throws at you, you’re bigger, better and more awesome – roll with the punches. You’re ace. Played this at my wedding and seeing all my fave people in one room together singing and going mad was the best feeling. My happy place. Mates rule. Suns out? Stick this one in your ear holes and walk/smile like a lunatic. An absolute banger… from..er.. Bangers! Maybe I’m being reflective as 30 is screaming towards me and the main lyrics being about being in your 30s, but this song just makes me think that everything is going to be ok. Reminds me of good sunny days and I can’t not smile while this is on. It also reminds me of air drumming at a desk job and getting in trouble for ‘having too much fun’. Perfect intro to maybe the perfect math-rock album. The gang vocals, the build, the crescendo, just everything is perfect. Some kind of pessimistically optimistic tune that I’m usually blasting my ears with when I’m cycling home late at night. It’s good. Again, a ‘moody’ song, but it reminds me of a really odd but lovely few months. This song really helped me take the moment in my hands at the time and just go with the flow. That time’s now passed, people are in different parts of the world and we’re all doing different things, but I find myself living in those months for 4 minutes with this song. I love Don’t Worry, again, always pessimistically optimistic, but I can’t help turning this up really loud when I hear it. Maybe it’s the harmonised guitars as well around 2 mins in. It’s not one of their singles, but my god this song has riffs for days. The rough and ready sound this track has to the rest of Three Cheers For Sweet Revenge always made it a stand out for me, and without this band I probably wouldn’t be working in music today. It was always a staple for when I’d be in a bad mood, I’d whack it on as loud as possible and after a couple of listens I’d feel a lot better. This whole record reminds me of the most stressful 10 days of my life. I was in my final year at uni and the two weeks before our final deadline we had a sit in in one our classrooms to get all the work done. We took sleeping bags and would sleep under the desks for a few hours before getting back into it. It was hell and in that time I think I only had 10 hours sleep over those two weeks. This album had just dropped and I listened to it on a loop to get me across the finish line. Happy, but stressful times. I find so much comfort listening to the dark a sorrowful tones in this song. I don’t know why, but Chelsea Wolfe is so otherworldly that when I’m in a rutI can put on one of her records and be transported to another world for a little while. This one got me through some tough times whenever I would get homesick. It always makes me think about what my friends and family would be up to, and would also spark memories of my teenage years getting up to no good.